Whatever barriers to entry that existed previously where obliterated with the advent of e-commerce. A unique username and a valid credit card have become the only requirement to become a “bookseller”. Enter Glenn Pladsen who purchased the stock of a used bookstore that was closing in Boulder, Colorado eight years ago. His hope was to set up shop on Amazon and become a bookseller. Unfortunately, things didn’t quite work out. He soon realized that the race to the bottom pricing that is a pillar of the Amazon model made it impossible for him to compete. 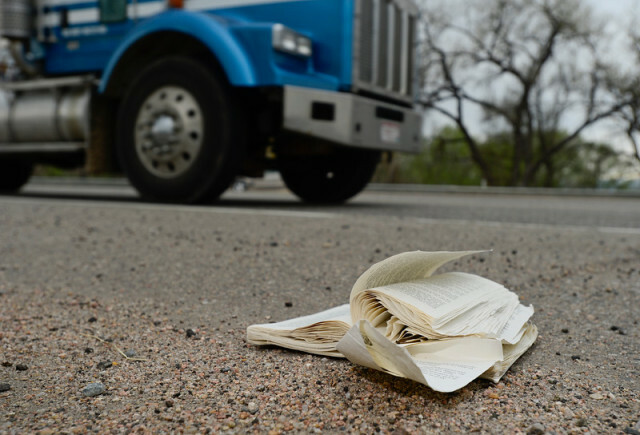 “The way they sell their used books put all the used book sellers out…I was left with thousands of books in the house” says Pladsen. 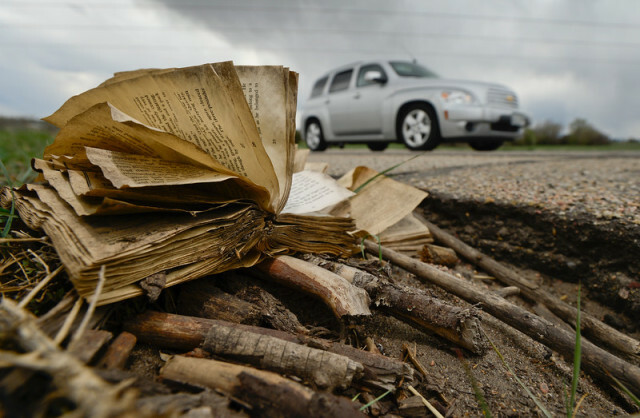 Since February Pladsen has been tossing books out his car window on his way to and home from work. 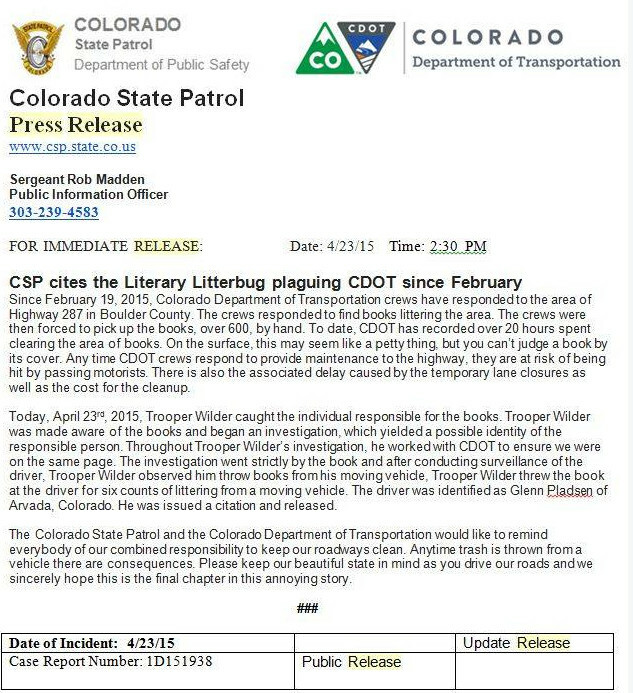 Upwards of 600 books have hit the road since then causing quite a headache for the Colorado Department of Transportation and a bit of a mystery for the State Patrol. Finally, they got their man.